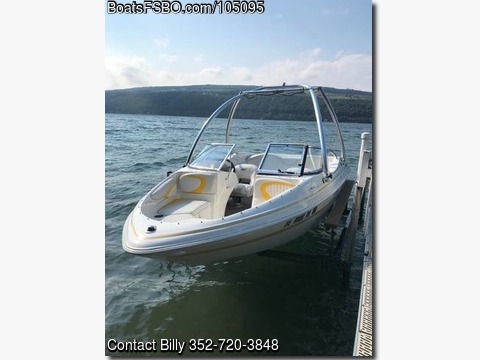 Please contact the owner at susmccoy(at)gmail.com This inboard/outboard ski boat is in excellent condition. Includes Monster tower and sound system. 220 HP 5.0 Volvo Penta Engine. 2005 trailer with new spare tire is also in excellent shape. Life vests, skis, kneeboard, tow ropes available for additional charge.